We would like to inform you that we are disabling default FTP user name and password, which you are using to access Cpanel. We are increasing server security. Web servers are one of the most targeted public faces of an organization, because of the sensitive data they usually host. Securing a web server is as important as securing the website or web application itself and the network around it. If you have a secure web application and an insecure web server, or vice versa, it still puts your business at a huge risk. Default FTP user name and password can be easily hacked. Through which hacker can do malicious php or sql code injections, virus infected files, upload root kit and suspicious files etc. To avoid this we are disabling default FTP login details. Now, You can only access Cpanel with default user name and password. 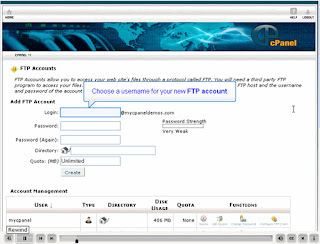 To access FTP, you need to create another FTP user with password through Cpanel. 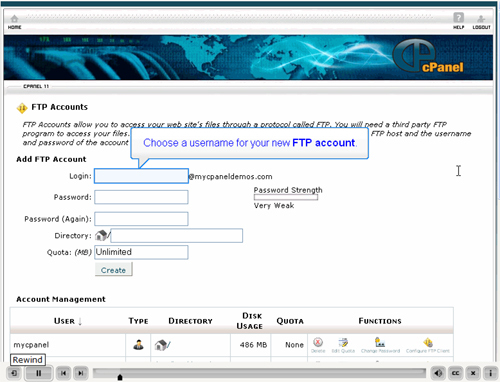 Steps to create FTP user in Cpanel. 1. Login to Cpanel with provided login details. 2. Click on FTP accounts under file tab. 3. Then Add FTP Account with user name and password. 4. In Directory section, only public_html should be there. 5. Click on Create FTP account button. After that your FTP user will be as: user@yourdomain.com. Use complete “user@yourdomain.com” as your FTP user name. with your actual FTP user and domain name. Please refer following video tutorial for more information. We apologize for any inconvenience caused to you during this time of improvement. If you have any questions please contact our live chat customer support team via chat or ticket. Your patience and co-operation on this matter would be greatly appreciated."